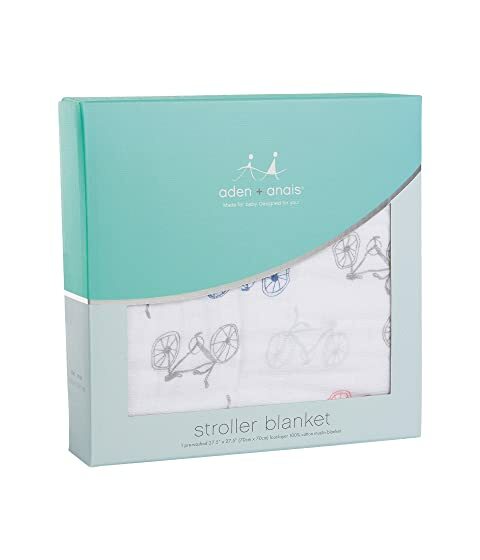 Cute and cozy on the go with the aden + anais® Stroller Blanket. Four layer cotton muslin blanket keeps them comfortable on the go. Features bicycle print on one side and bird print on reverse. 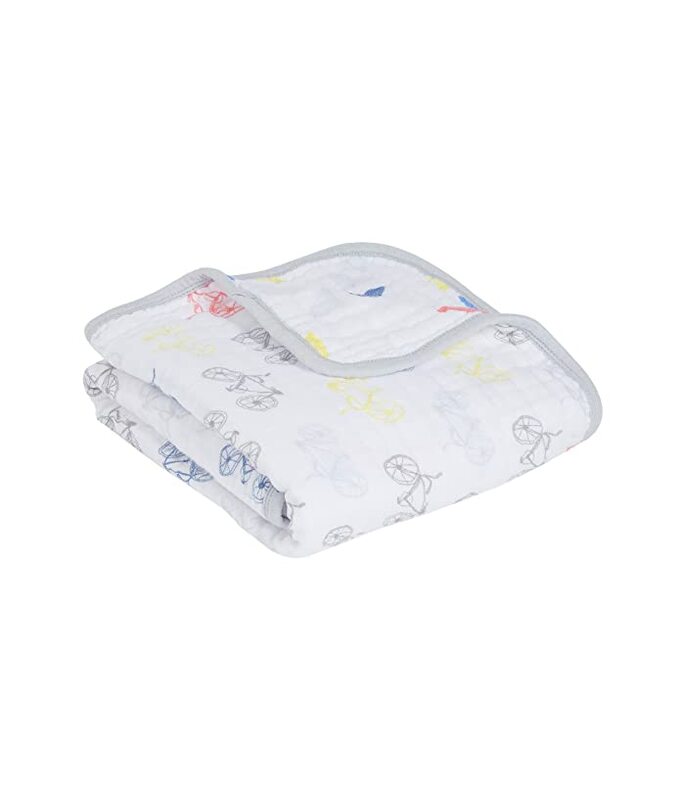 Gets softer with every wash.